The U.S. Navy’s biofuel-powered fighter jet, the ‘Green Hornet"
I have written many times about my love for our military and how impressed I am with their efforts to go green. Now, word comes that the military has plans to expand its use of biofuel in planes, ships and other vehicles. A move that, according to a report commissioned by Environmental Entrepreneurs (E2), would generate approximately $10 billion in economic activity while creating more than 14,000 jobs by the year 2020. If the Department of Defense is able to expand its use of advanced biofuels as planned, it would jump-start the biofuel market which would speed the use of biofuel by commercial airlines, vehicle fleets and other users. 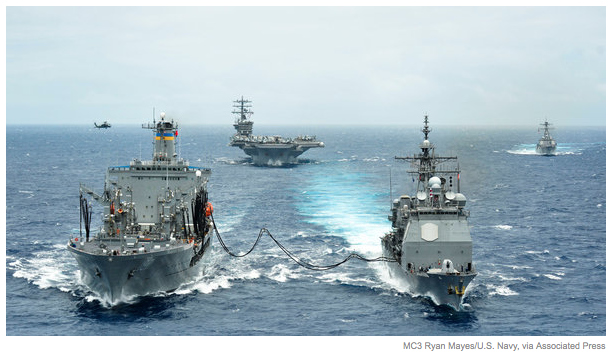 Led by the Navy and Air Force, the Department of Defense (DoD) wants to reduce its dependence on oil by getting as much as half of its fuel from advanced biofuels by 2020. DoD's top leaders have said that reducing the militarys use of oil is essential to national security, troop safety and avoiding fuel price spikes. When the Navy put a Pacific fleet through maneuvers on a $12 million cocktail of biofuels this summer, it proved that warships could actually operate on diesel from algae or chicken fat. But the still experimental fuels are also expensive - about $27 a gallon for the fuel used in the demonstration, compared with about $3.50 a gallon for conventional military fuels. And when we are battling the huge deficit created in the last four years under President Obama, the expense of biofuels has placed them smack dab in middle of the political battle over government financing for new energy technologies. Will Congress Derail Green Efforts of The Military? 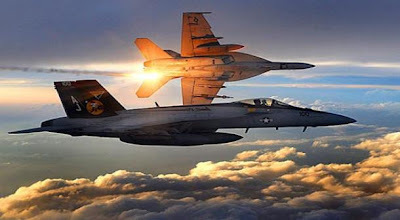 Under the National Defense Authorization Act (NDAA) that Congress is expected to take up in the next several weeks, the military, which happens to be the nations biggest user of oil and gasoline, would be prohibited from expanding its use of biofuel. "The military often leads major economic transitions in our country, think about aviation, communications or the Internet." said Nicole Lederer, co-founder of E2, whose 800-plus members include business executives and investors who advocate for sound environmental policy that can lead to economic prosperity. Yet right now in Washington, some lawmakers, obviously worried we are facing an economic meltdown far worse than Greece, are poised to block a potentially major transformation of our national energy supply - and also hold back the significant economic growth and job gains that would come with it. which used 200,000 gallons of a biofuel blend. "ACORE recognizes the important national security and energy security benefits of the U.S. military's increased use of biofuel. This report from E2 also highlights the tremendous economic potential of the defense biofuels program. It has already attracted private capital for technological innovation and commercial-scale biorefinery construction, thereby creating geographically-diverse jobs. Most importantly, this initiative accelerates America's move to a more diverse and secure energy portfolio." 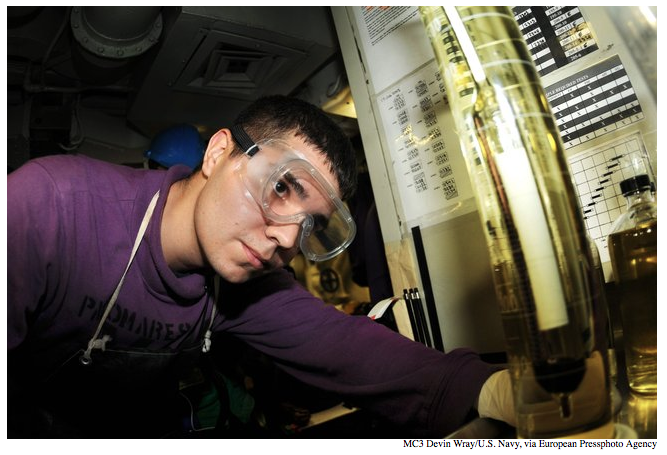 The military is the biggest driver of the biofuel industry right now. If Congress stops the military from doing what the military knows is best, Congress also could threaten the growth of the Made-in-America biofuel industry."
Between $9.6 billion and $19.8 billion of economic activity could be generated by 2020 if the DoD is allowed to meet its previously announced biofuel goals. Between 14,000-17,000 new jobs could be created by 2020. If measured on a job-year basis, the total number of jobs created would be more than double that amount. Of these jobs, more than 3,000 will be agricultural jobs from biomass production, and about 1,200 will be in biorefinery operation. An additional 10,000 jobs will be created from biorefinery construction. These economic and job impacts will be broadly distributed geographically, with the greatest benefits to states that create the strongest incentives for biorefineries. In order to meet the militarys cost and volume targets, advanced biofuel companies are leveraging $3.4 billion of private capital invested since 2007 to build new commercial facilities. Military demand is helping to shape the early market and scale the advanced biofuel industry, which could help the commercial aviation industry and other industries to meet their hopes and plans to expand their use of biofuel.